This is a further round up of news of the serious frost during the night of Tuesday 26th and Wednesday 27th April. A shorter version was published in decanter.com on Friday. 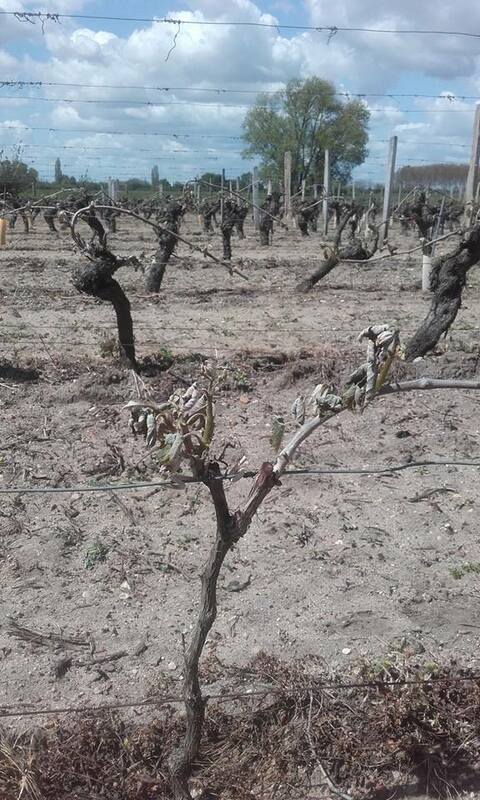 Parts of the Loire were very severely hit by frost during the night of Tuesday 26th and Wednesday 27th. Temperatures in a few places fell as low as – 6˚C. As in April 1991 a lethal combination of damp ground from recent rain, clear overnight skies, very low temperatures in the latter part of the night followed by bright early morning sunshine has virtually destroyed the 2016 vintage in some sectors of the Loire. Although it is too early to know the full extent of the damage some parts of the Loire have been very badly hit. The worst hit areas appear to be Bourgueil, Montlouis, Saint Nicolas de Bourgueil, Azay le Rideau and Touraine Noble. The important communes of Cravant-les-Coteaux and Panzoult in AOP Chinon are reported also badly affected. Couly Dutheil, whose vines are mostly in the more western part of the Chinon appellation, reports that 20 hectares of their 90 are affected. In Ligré Jérôme Billard (Domaine de la Noblaie) finds that 20% of his vines have been affected by the frost. Mainly those less good parcels parcels that Jérôme reserves for his rosé. Here the damage is as high as 60%, while in his best parcels of Cabernet Franc for his reds only 10% of the vines appear to have been hit. Sabine Corsin, Syndicat de Montlouis reported a 90% loss in Saint-Martin-le-Beau with 50% loss in the appellation’s other two communes. Losses in Vouvray are reported to be less overall and more variable. Jacky Blot (Domaine de la Taille aux Loups – Montlouis, Vouvray) expects to make 25% of normal if all goes well from here. In contrast the outlook is more optimistic for his Domaine de la Butte (Bourgueil). Here the loss is 20% essentially Pied de la Butte on the flatter ground. The rest of the vines on the steep slope are intact. In Saumur-Champigny the communes of Chacé, Saint-Cyr-en-Bourg and Varrains have been badly hit. Closer to the Loire damage is much less. “We have lost 10%,” said Florence Chevallier (Château de Villeneuve). The picture in the Pays Nantais appears to be very variable. Domaine Luneau-Papin (Muscadet) has suffered damage in some parcels, while others haven’t been touched. “A third of my vines have been badly hit with up to 100% loss in some parcels, one third slightly affected and one third not touched at all,” said Vincent Caillé, Domaine Faye d’Homme (Muscadet). However, fans of Vincent and Christelle Guibert's Terre d'Gneiss will be relieved that this boutique parcel was spared. In the Central Loire Vineyards Benoît Roumet, the director of Les Vins du Centre, reports that Menetou-Salon, Pouilly-Fumé, Quincy and Reuilly have all been hit to a greater of lesser degree. Sancerre, in contrast, has largely escaped. However, Roumet cautions that things will be clearer next week. 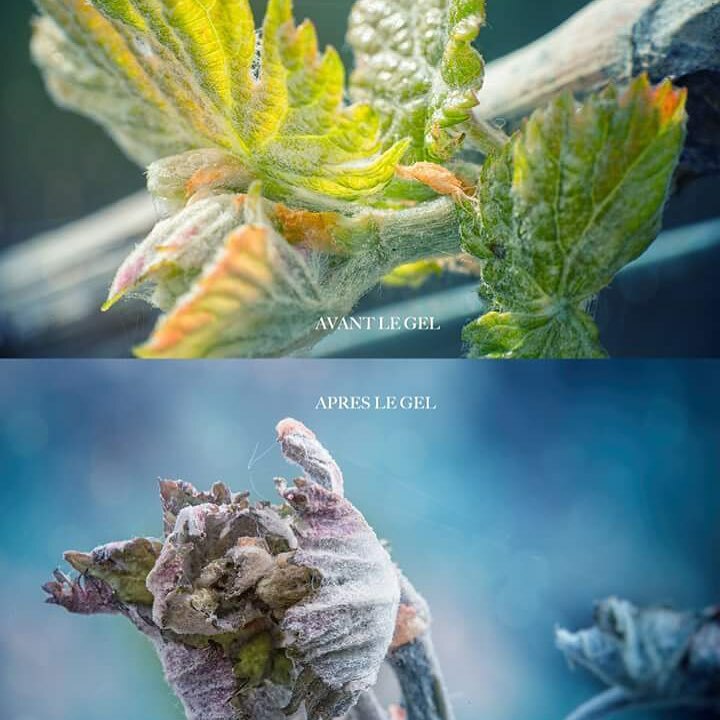 Although this April frost may not be as extensive as that of 1991, wine stocks would have been much higher after the very good and generous 1990 vintage. Now stocks are low after four small to below average vintages. On top of that you have to factor in the current annual loss from esca, which was not a factor back in 1991. 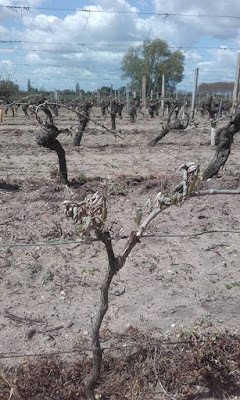 Esca is not only one of the reasons why yields are lower than expected but there is also the constant cost of replacing dead vines. Negotiations with government and banks to help to see badly hit producers through this crisis will start next week. Véronique Davault from Domaine de la Chaise, Saint Georges sur Cher, tells me that they've lost 30% of the crop for sure, maybe more. It will take a couple more weeks to fully assess. Thanks Susan. Jim. Sad news – the only compensation is that it isn't around 100% that some have suffered.